Your Optometrist in Columbia, MO. Call us at 573-445-7750 today. 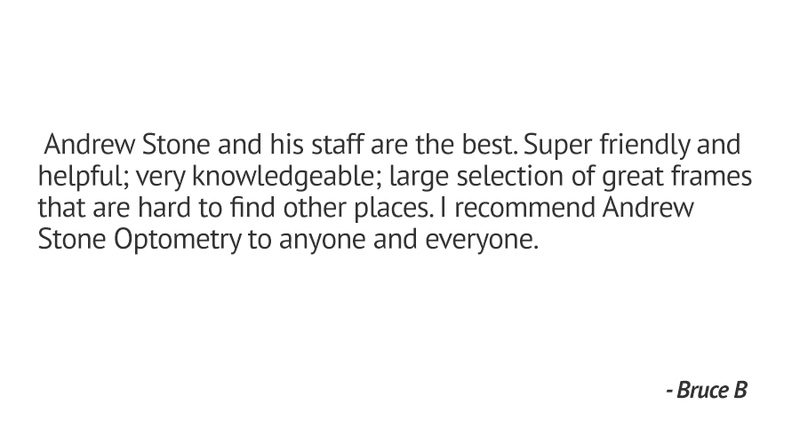 Your eyes deserve the very best of care -- and you've just discovered the best place to get that care in Columbia, MO. We're delighted to welcome you to the official website for Andrew Stone Optometry, your trusted source for primary eye and vision care. We help people of all ages, and with all kinds of eye and vision challenges, to optimize their eyesight for life. 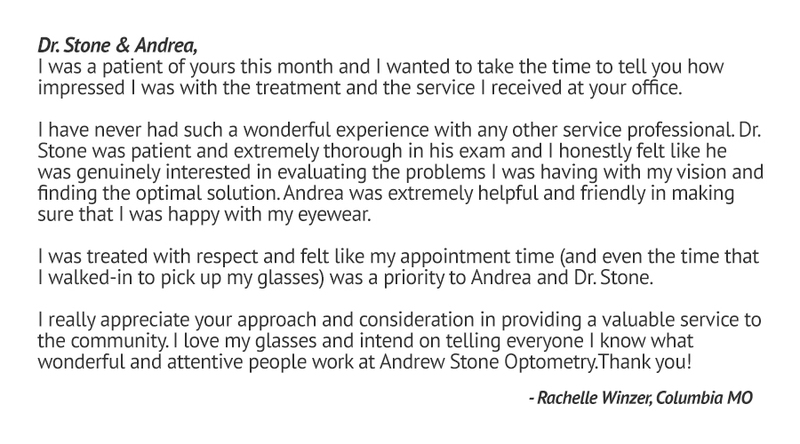 From comprehensive eye exams to treatment of eye diseases and disorders, you've got a friend at Andrew Stone Optometry! 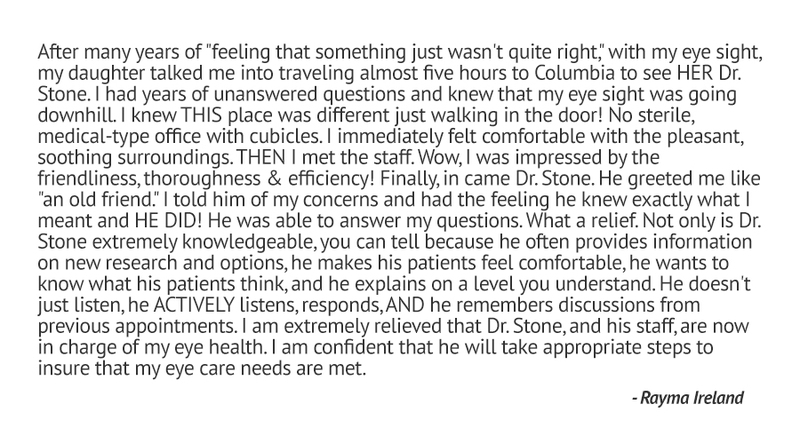 Our reputation for high-quality eye and vision care centers around our distinguished optometrist in Columbia MO, Dr. Andrew Stone. Dr. Stone has understood eye and vision care issues all his life, having worn glasses himself since childhood and managed an eye care center while an undergraduate. He received his optometry degree from the Illinois College of Optometry. In his years serving the Columbia MO area, Dr. Stone has focused on providing an extra degree of personalized, compassionate care for families just like yours. As a dedicated member of the community, he regards you as his neighbors -- and he'll treat you with the same care, skills, and advanced technologies he would wish to receive as an eye patient. Eye and vision exams - We perform comprehensive eye exams that check every aspect of your ocular health and function, detecting any potential dangers or vision problems that require care. If you want contact lenses, we also provide contact lens exams. Corrective lenses - We can fit you with eyeglasses, sunglasses, or contact lenses -- including both hard-to-fit contacts and ortho-k contacts (which correct your vision as you sleep). Sports vision - Need to get the most out of your eyes when participating in your favorite sport? Our sports vision services can make it possible. Eye treatment - We can treat a variety of eye problems, from allergies and dry eye to serious retinal issues that threaten your sight. 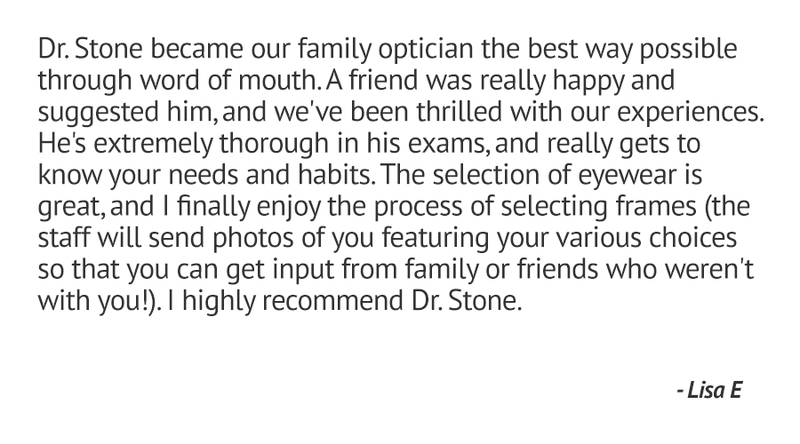 Introduce Your Whole Family to Our Optometrist in Columbia! Take a moment to go through this website in detail. Once you've seen the many ways we can help you help your family's eyes, call our optometrist in Columbia at 573-445-7750 or book an initial appointment through this website!.